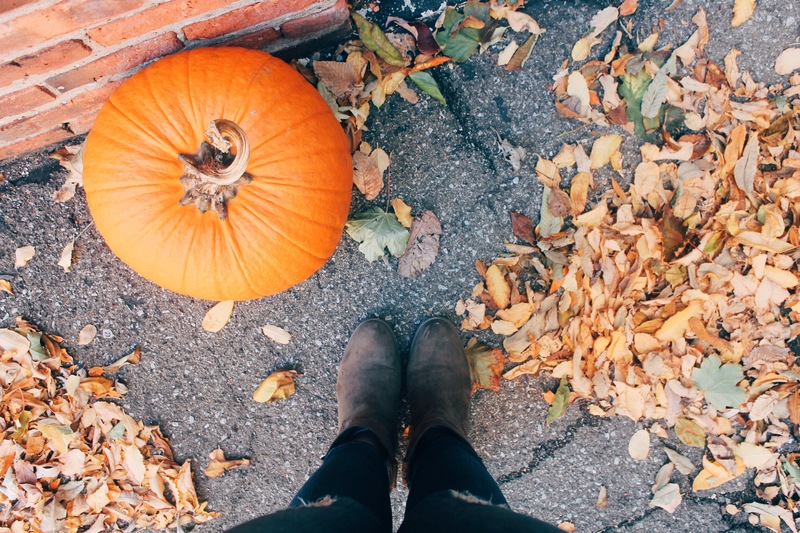 This one probably goes without saying but nothing says fall like pumpkins. I got ours from a local farm market, but they sell pumpkins everywhere. These are all real because that was cheaper and I like real pumpkins, but there are tons of super cute fake pumpkins out there. 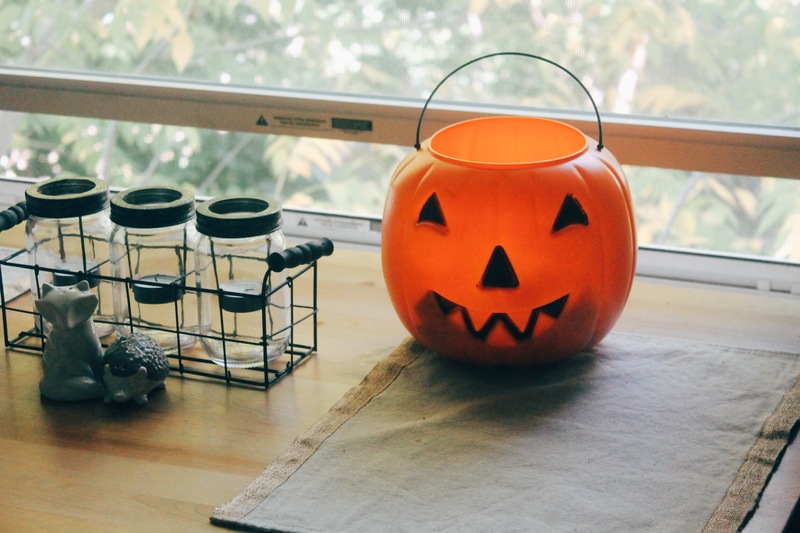 Also, there are tons of DIY pumpkin decorating ideas online for some really cute designs! I might try a few out this week, not a huge fan of pumpkin carving but I might glitter one up! 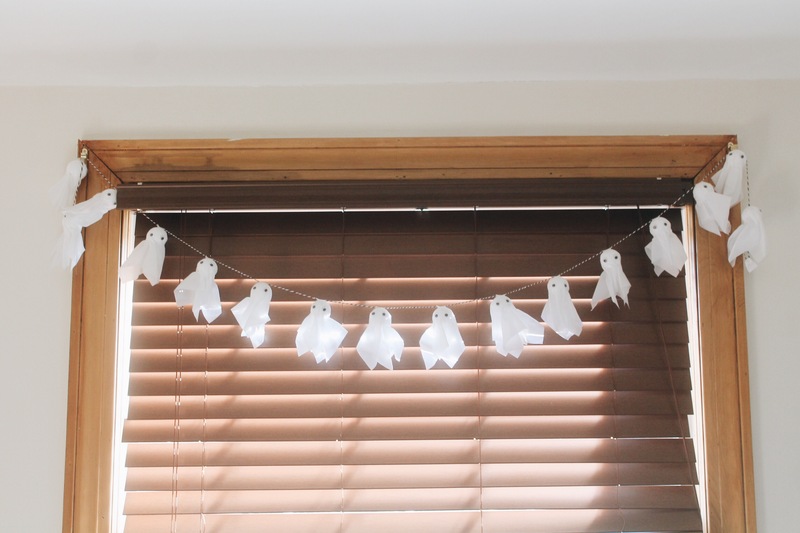 I got these little banners from Target and I love them so much! Our kitchen is super dark so this just adds such a homey touch. These banners were also only $3 each so they were a total score. 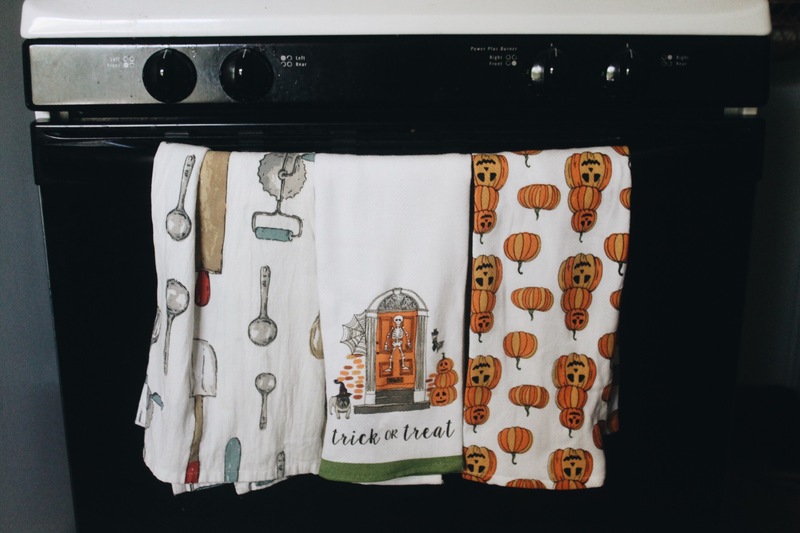 Target has new ones for each season and major holiday, and there are a lot of different patters to choose from. Plus you can make your own easily. 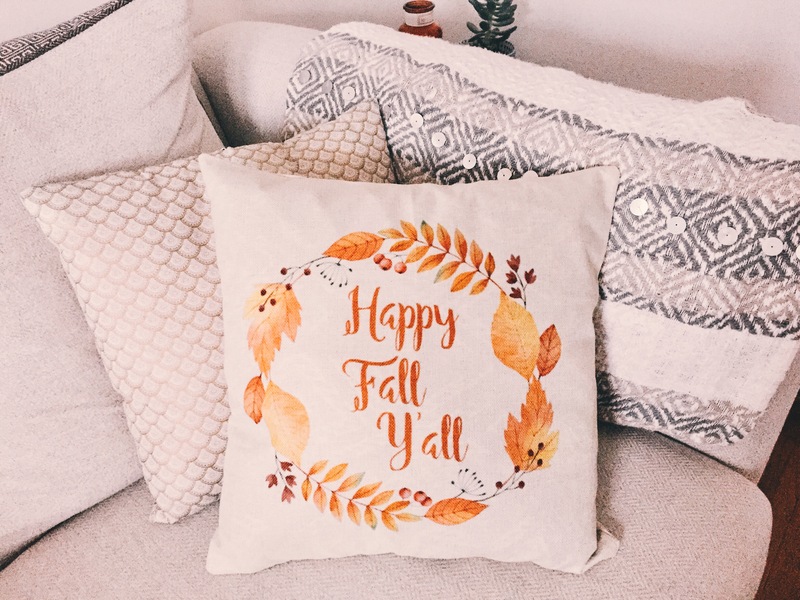 Seasonal pillows are super cute and also way too expensive. If you don’t want to pay $20 a pillow, then I would suggest ordering a pillowcase off Amazon. I got this burlap one for about $4 on Amazon and I just put it over a pillow I already had. If you don’t have many pillows, you could just get some cheap ones at a local thrift store and cover them with your own cases. This also saves space on storage since I’ll only want this pillow out for a few months of the year. The only catch is a lot of these cases ship from foreign countries so you’ll have to order ahead of time. Also make sure you read the reviews to ensure that the product you will be getting actually looks like the picture. 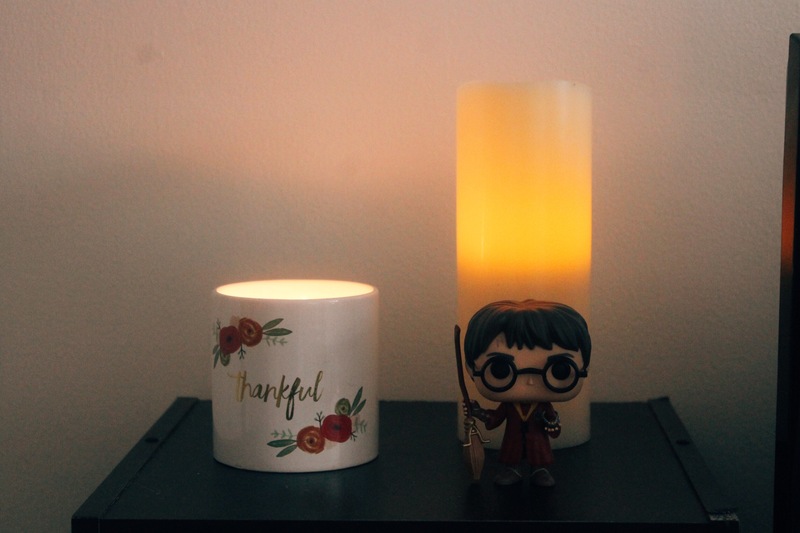 Candles are a really nice way to update your place for fall because there are so many candles to choose from and not only do they look cozy, but they also make the place smell festive. 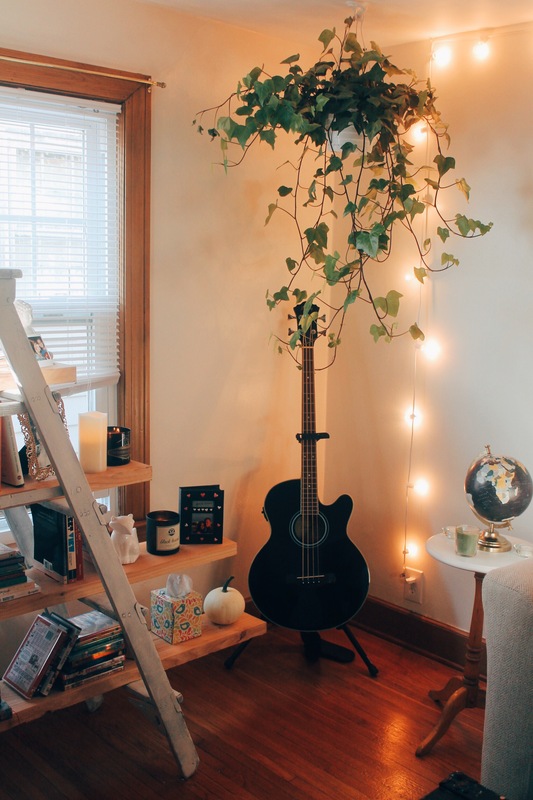 I love string lights. I like the subtle, soft, even light they give off as opposed to overhead lights. Plus they save tons of energy which is nice since we pay our electric bill. This is obviously great for fall and Christmastime but I use them year-round indoors because I just really like them. 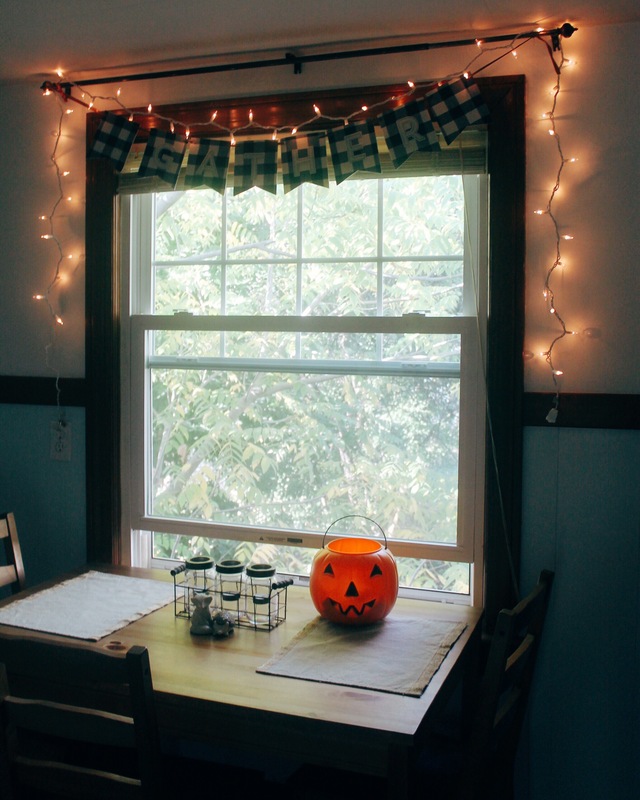 Around the rest of my apartment, I just put a bunch of little fall things. 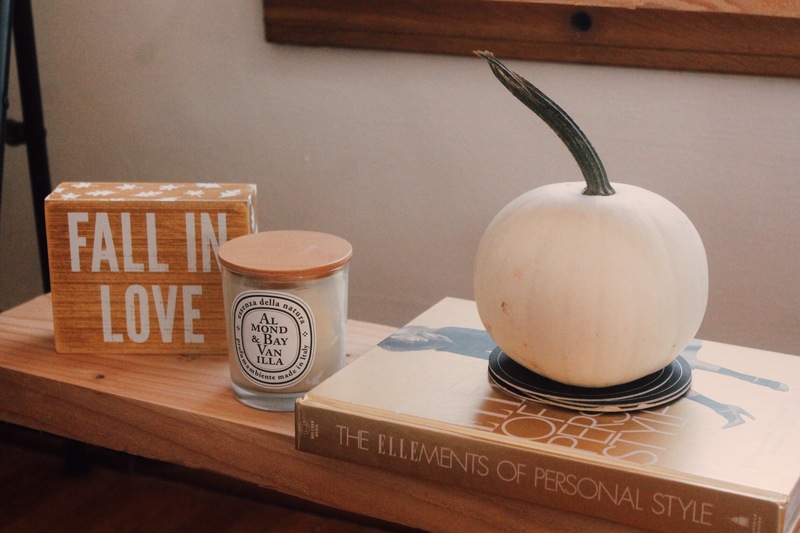 The “fall in love” box decoration is from T.J. Maxx and was just a few dollars. I just like to pick up small things to add to the overall feel of the place. One of the best parts of this time of year are the awesome seasonal drinks. If you’re not looking to shell out $5 for a Starbucks drink, just make it at home! 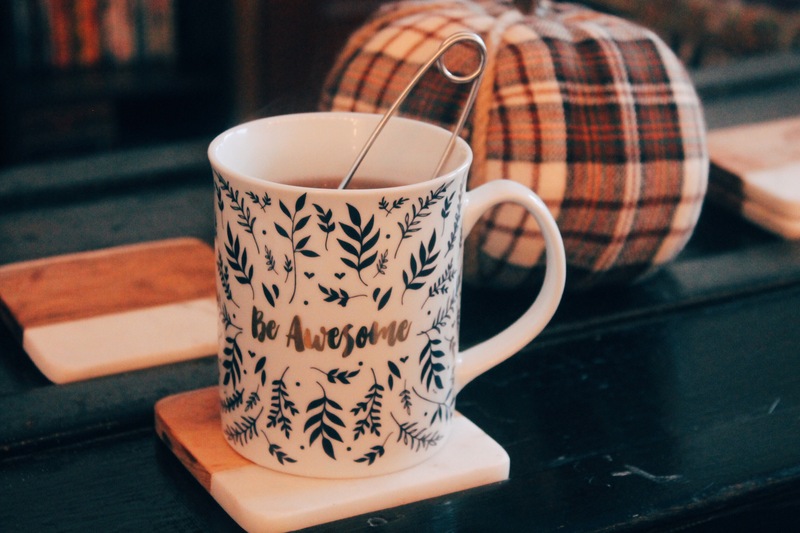 For spiced hot apple cider, just buy some apple cider, heat it up on your stove or in your microwave, and add some spices! You can either buy spices and make your own, or you can just buy spices that come in little teabags like I have pictured here. 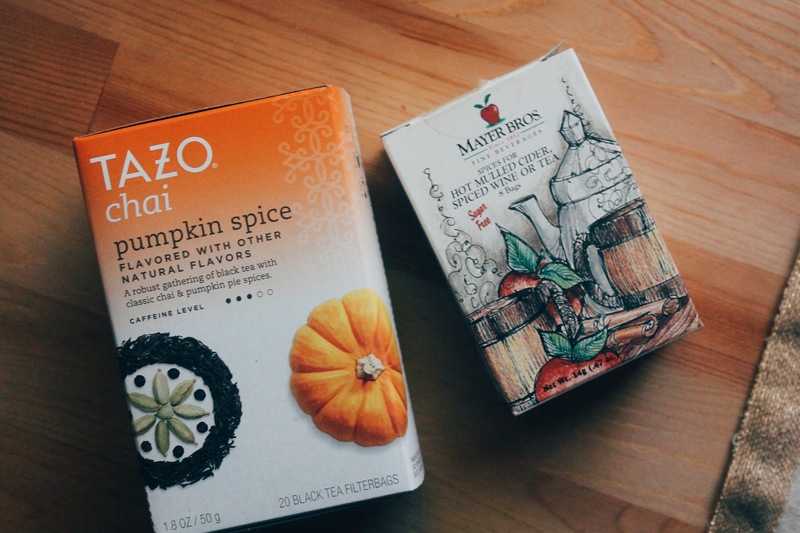 Also, there are lots of great seasonal teas available. 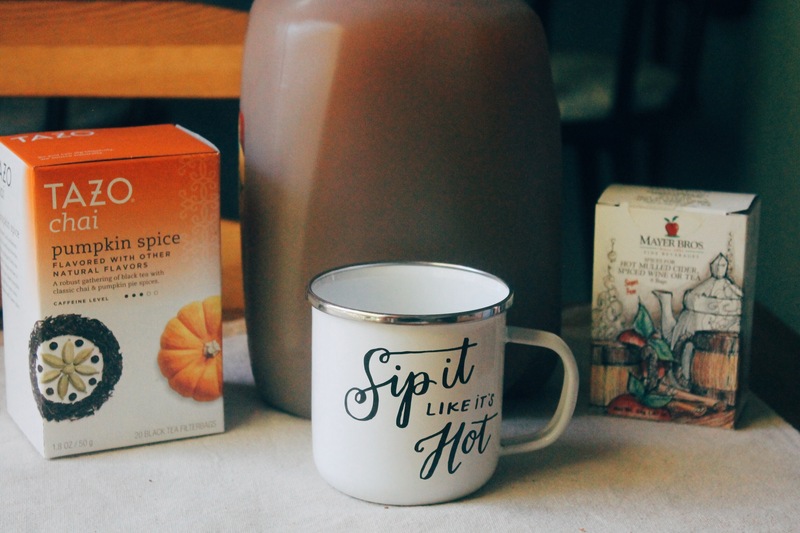 Tazo makes a great pumpkin spice chai tea (which you can buy at a large grocery store), which you can just add milk and sugar to make it a chai latte! 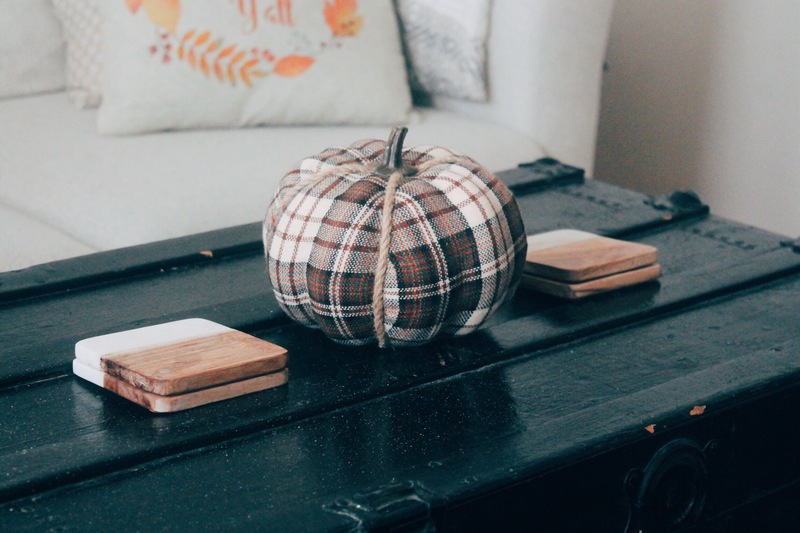 I was inspired by Douglas Elliman and their gorgeous Florida properties to spice up my apartment for fall! 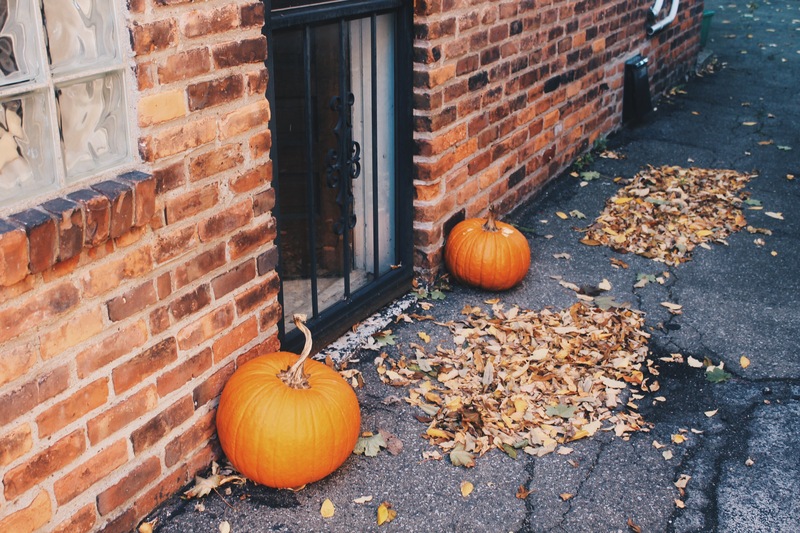 Whether you live somewhere with a long fall like New York, or down in Florida with an extended summer, you can always decorate accordingly so you’re never missing out. Hopefully, this was helpful! I’ve been quite busy lately so I haven’t done too many DIY’s but I plan to do a bunch for Christmas so I’ll share those. 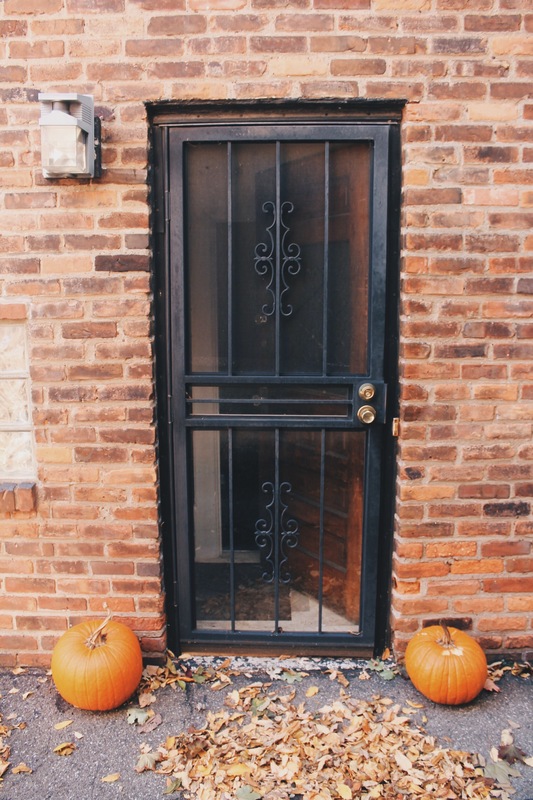 If you have any fall decorating tips, please share in the comments! Happy Halloween doll! Love the decor! Thank you, Happy Halloween to you too!